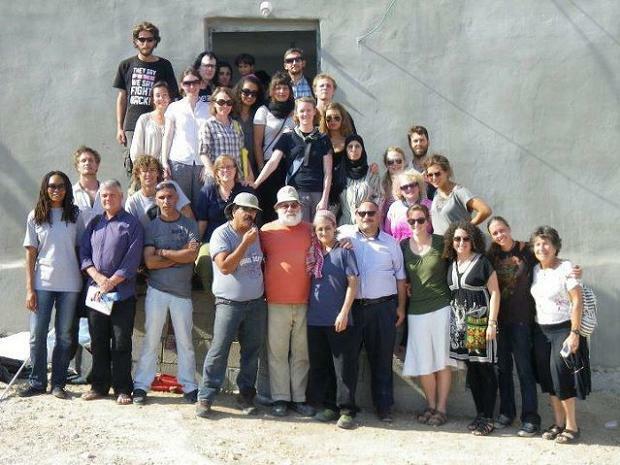 Last summer, I took part in a rebuilding camp with the Israeli Committee Against House Demolitions(ICAHD). 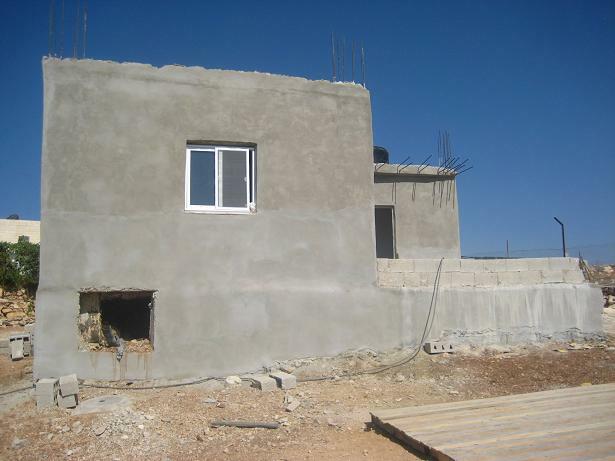 On the 24th July 2011, a group of Palestinians, Israelis and International peace activists finished rebuilding a demolished Palestinian home. 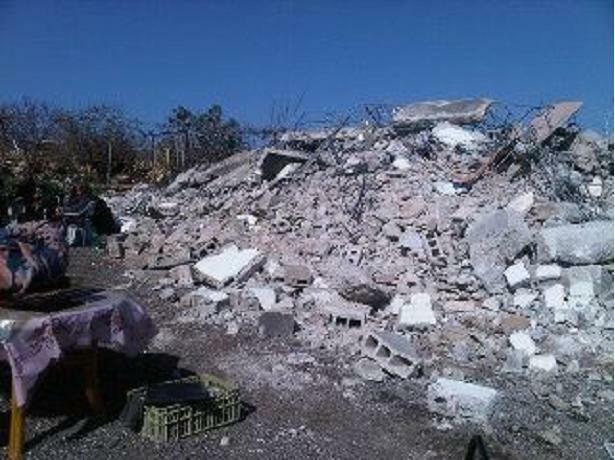 Today, exactly six months later, Israeli occupation forces have, once again, demolished it. The home belonged to the Abu Omars, a large family of fifteen who, after having had their house demolished in 2005, and after living for six years in their neighbour’s house, were finally able to move back into their new house last summer. Today, they are once again homeless, displaced, distraught, and helpless. The Abu Omar and Shawamreh families’ land is situated in the Occupied West Bank town of Anata, in what is known as “Area C”, meaning it is under complete Israeli military control. Palestinians are almost never granted building permits by the Israeli authorities, and therefore are forced to build or expand their homes “illegally”. This is the most common reason given by the Israeli authorities for house demolitions. However, as an occupying force, Israel doesn’t have the legal right to grant nor deny permits as it is not entitled under International Law to conduct civil planning. Nevertheless, the rate and the method of house demolitions show that this is more a policy of gradual ethnic cleansing than anything else, with clear political and strategic purposes. According to ICAHD, “House demolitions and forced evictions are among Israel’s most heinous practices in the Occupied Palestinian Territory (OPT).” Since the occupation of the West Bank in 1967, approximately 26,000 homes have been demolished, and in 2011 alone, 622 Palestinian structures were razed to the ground by Israeli bulldozers. No alternative housing or compensation is ever given to Palestinian families whose houses are demolished. Under the Fourth Geneva Convention, Occupying Powers are prohibited from destroying Palestinian property or employing collective punishment. Article 53 reads: “Any destruction by the Occupying Power of real or personal property belonging individually or collectively to private persons…is prohibited.” Under this provision the practice of demolishing Palestinian houses is banned, as is the wholesale destruction of Palestinian infrastructure. These particular demolitions have touched me personally because I knew the family, and I know what wonderful, courageous and steadfast people they are. But we must not forget that house demolitions happen all over Palestine (not just the West Bank and East Jerusalem) every single day, and have been happening since 1947. It is a very clear policy designed to slowly but surely forcibly evict Palestinians, the indigenous population of the land, out of their homes and out of their homeland. We must do everything in our power to stand up against this brutal process of ethnic cleansing. The rebuilding of Palestinian homes is not a humanitarian act; it is a non-violent political strategy aimed at resisting the occupation whilst showing solidarity with Palestinians. ICAHD has vowed to continue rebuilding homes in the Occupied Palestinian Territories, and in doing so will not submit to the Israeli occupying forces’ attempts to deter its resistance of the illegal occupation. For Teodora Todorova’s report on house demolitions in Israel click here. Livia Bergmeijer is an Italian/Dutch writer and activist. She is a member of the Oxford Students' Palestine Society and took part in a rebuilding camp with the Israeli Committee Against House Demolitions (ICAHD) in the summer of 2011. Max Ajl, "One State, Two States: Who Is the Subject of Palestinian Liberation?"